A hearty congratulations to 2019 Guard David Patterson (Rio Rancho, NM). 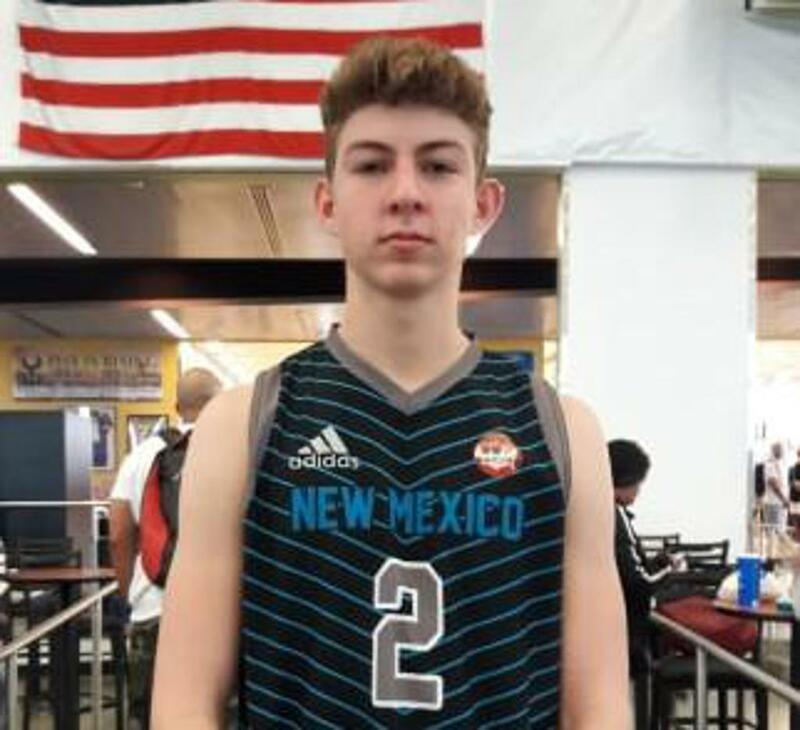 He was recently named New Mexico's Gatorade Player of the Year. Patterson is an outstanding student, has high character in addition to being an excellent basketball player. The three point sharp shooter has committed to the Air Force Academy. His military commitment follows a proud tradition for the D1 Nation as he becomes our 4th alumni to play for the Falcons along with 4 others at Army and 2 at Navy. This is no easy task to become admitted, not to mention balance the rigorous studies along with the athletics. For those who endure, it's a $500,000 education and an alumni network second to no one. I'm not sure what comes first, the chicken or the egg. Seven of the last New Mexico Gatorade Players of the Year have been New Mexico D1 Ambassadors Alumni. It's a proud tradition, and I tip my hat to all the coaches at the high school and club level, (especially the Director for New Mexico, Coach Malik Waters) that have helped these young men, as well as the commitment it takes from families to help them pursue their dreams. Along with David Patterson, this year we also acknowledge prior winners including his brother, Clay Patterson. Other winners included Bryce Alford who had a great career at UCLA, Ryan Jones who just finished a fine career at UMass-Lowell, Anthony Chavez, Joe Anaya and Adonis Saltes. A proud tradition at the D1 Nation.